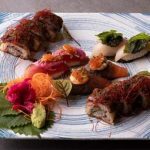 The izakaya inspired restaurant TokyoLima, known for its Nikkei cuisine, is launching a pop-up ‘More Tokyo Than Lima’ for six exclusive dates in October and November. The pop-up will embrace the Japanese cooking skills of the talented chefs, presenting a sharing menu of delectable dishes with just a dash of Lima. The exclusive pop-up menu will only be available on 29 to 31 October and 5 to 7 November from 6:30pm onwards. 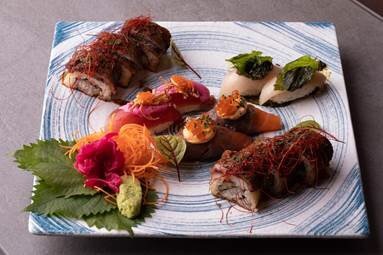 Diners can expect TokyoLima’s usual buzzing atmosphere and excellent service combined with high quality food, with a twist. 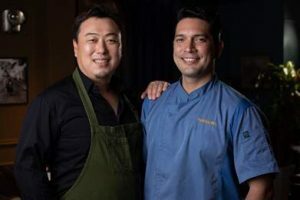 Executive Chef Arturo Melendez has paired up with Chef Suzuki to create the Sharing Menu (HKD680 per person) featuring seven dishes designed to emphasise the Tokyo in TokyoLima. The meal begins with Japanese favourite Bonito Tataki, consisting of seared bonito, kiuri, ooba leaves with yuzu and sweet soy pearls. A Sushi & Co Platter features a mix of US prime beef maki, salty hamachi nigiri with a mint chimichurri, maguro nigiri with a beetroot mayo, and salmon nigiri topped with a rocoto cream cheese. Sushi is given a fun twist with Sushi Burgers, built from the bottom with sushi rice, shrimp, tuna, ikura, kaki no tane and completed with lump fish caviar. Not neglecting their Nikkei roots, the next dishes bring a dash of Peruvian. The Stick Nikkei Platter, features Octopus and black olive tapenade with a chicken yakitori and garlic comfit. Grilled Jumbo Prawnsprovide a tangy crunch to the meal, with Tiger prawn, sea urchin, egg yolk, mayonnaise and mustard cress. The sharing menu also boasts Slow Cooked Pork, with Iberico pork shoulder, seasoned with garlic, mustard, sweet soy sauce and butter. Complimenting this perfectly is GT-3S, a refreshing and slightly spicy green tea soba noodle dish with soy soup, akami, wasabi and tamago. To complement the meal, diners can opt for a free flow package (HKD180 per person) or there’s a choice of two speciality cocktails which have been designed to pair with the special menu. The first is Roppongi (HKD140) combining Nikka from the barrel infused with white peach, egg-white, roasted barley syrup, lemon juice and Angostura bitters. The second isShinjuku (HKD140) with Akayane Haru Gin, Takizawa Tokujo sake, kiwi and fig syrups, topped with yuzu tonic. No meal is complete without desert, and diners can share a More Tokyo Dessert Platter with a number of sweet surprises.